Different Strokes: How old are you, where were you born and how long, have you been a stroke survivor? Andy: "I'm 57 years of age, born in Dumfries, Scotland 19/8/1947, and I had my stroke 2 years and 4 months ago." Different Strokes: What was your occupation(s) and when? Andy: "In 1965 I commenced service with 2 Para Rgt and continued for 9 years. I did 5 years in Reserves and 19 years in the TA split between the RCT & 160 Rgt (RLC). 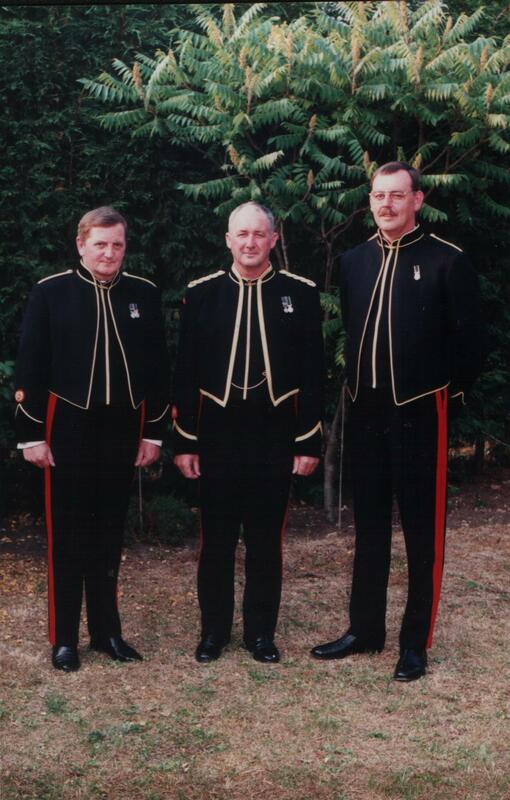 In 1994 I was promoted to WO1 RSM of 160 Rgt (RLC).I retired from the Territorial Army in 1999. Whilst in the TA, I was an HGV driver for the MOD carrying explosives. This continued until 1998 when I became Manager of a Landfill Site with Sita UK. 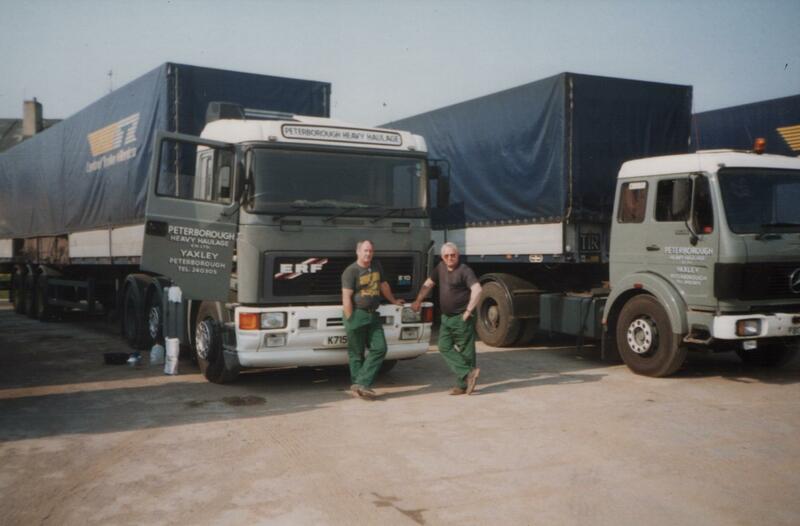 I also worked for a company in Peterborough as an HGV driver in long distance Haulage - for example; to the Czech Republic. " Different Strokes: Of all your experiences, which occasion or event sticks in your mind most? Andy: "At 18 years of age in 2 Para being ambushed in Aden in 1966 and being hit by a grenade which resulted in serious wounding and hospitalisation in Steamer Point." Different Strokes: What has been your proudest moment and what was the happiest occasion in your life? 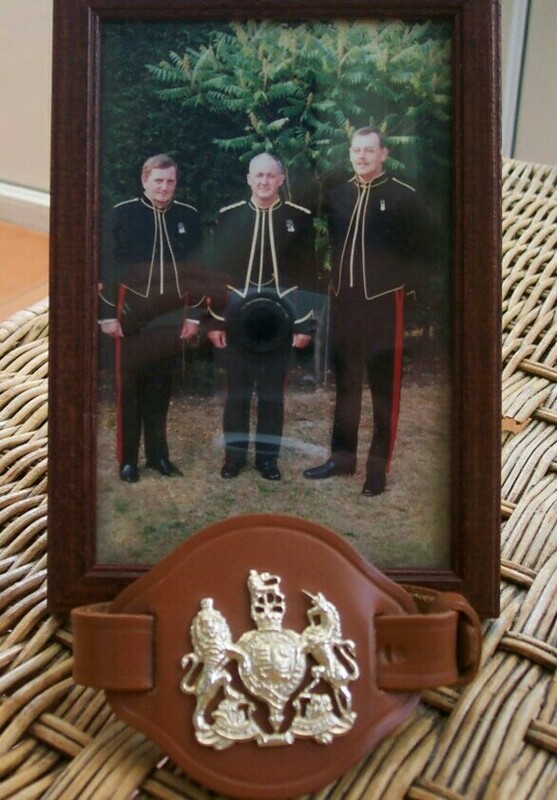 Andy: "Proudest moment: Being promoted to WO1 RSM -the Big Badge . Happiest occasion: The birth of my two sons." Different Strokes: Since being disabled by your stroke, what do you hope the future will bring? Andy: Regaining my communication skills and my independence. To be able to partake in sports at a competitive level once more. Hopefully to improve physically and never stop being determined to do so. Get back behind the wheel again and fingers crossed enjoy good health and my new friends." Different Strokes: What is your favourite tipple when available and what do you usually prefer when out with friends? Andy: "Guinness and Grouse (Low flying bird! ); When out with friends I mostly drink HSB." Different Strokes: When you were active in the past, what activities did you enjoy most? Andy: "Hill walking and climbing but also rugby, squash, bowls, canoeing, shooting, darts, snooker and riding my motorbike. I also spent a lot of time on my computer." Different Strokes: Do you have any particular hobbies/activities you are still able to enjoy? Andy: "Archery, horse-riding, climbing, bowls, pub sports, computing and riding my electric scooter." Different Strokes: Which big screen film has entertained you most and who was the screen actor/actress you liked most? Andy: "True Grit and John Wayne." Different Strokes: Outside of the media of music, films and TV, who do you admire and respect most? Andy: "My dearest oppo Andy Beales (sadly deceased) for his love of life and living each moment to the fullest." 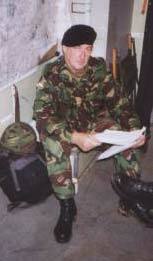 Andy photographed at a location somewhere in the UK in 1994, reading his orders and instructions by a large wall map in preparation for a routine parachute jump. He was a very experienced paratrooper, having completed hundreds of 'drops' in locations both at home and abroad. Fast-forward to May 2008: Andy has made some remarkable improvements since leaving the stroke rehab ward in Haslar hospital. He has conquered his Dysphasia by regularly attending his local Communication Support Group and has been so determined in his efforts that he is now training to become a Volunteer for the Stroke Association working with this group to help and encourage other stroke survivors. Another major step was returning to driving 15 months ago. These two things alone have changed his life because he is now more independant and confident. It has meant that he is no longer restricted to travelling short distances on his buggy. He can attend his Para Reunion Events and Dinners both locally and away and contribute to any discussions that ensue. His dropped foot on his right sided weakness has been strengthend considerably by the use of Functional Electrical Stimulation under the guidance of the clinic based in Odstock Hospital, Salisbury. Walking over any distances will always be a huge challenge and he still uses his wheelchair on such occasions but again another huge barrier being overcome. He exercises and swims regularly within the confines of his stroke and heart condition but he has for the last 6 weeks (April/May 2008 ) been attending a local gym under a 'doctor referral scheme' to do some resistance work with weights to improve his physique and build up his tolerance to hopefully a more intense programme to follow. Andy would say that being a member of Portsmouth Different Strokes for the last 4 years has kept his morale high and the friendship and support received from other stroke survivors and their partners/carers etc has been immeasurable. He now enjoys a glass or two of white wine and has recently been known to down a few pints of cider!! Editor: The author of the above is Andy's Partner/Carer, Di Summers. I sincerely hope that any practitioners, carers and/or other stroke survivors will take note of Andy's impressive example of how the human spirit plus determination and sheer guts, can overcome the most debilitating of both physiological and psychological health problems and the stroke survivors particularly; gain some inspiration and faith in themselves. Well done Andy.